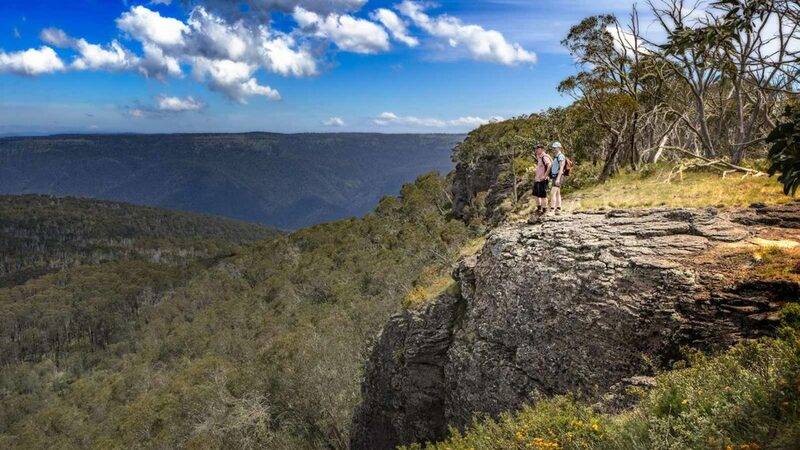 Mount Tabletop is a distinctive flat plateau linked to the Great Dividing Range by a low ridge. From JB Plain follow the old fence line south across the plains for 0.5 km. From here the route is marked. 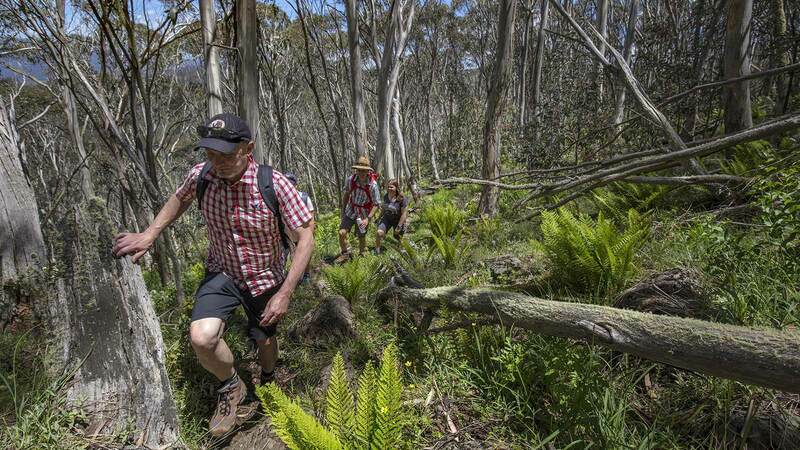 After crossing the snow plains and snow-gum woodland, the route drops down to Tabletop Creek and then follows a long ridge up the plateau. The track is marked to a rocky outcrop just below the summit. Return via the same route.